What makes your favorite yoga instructors so awesome? Why do you keep returning to their classes or lectures, time and time again? What makes their class magical? No matter what type of yoga or spiritual practice you engage in, I’m willing to bet there are a few common qualities your favorite teachers possess. I remember attending some of my first yoga classes and being in awe of the teachers who instructed me…they certainly had the charisma and the charm to wow me through class. But, years later, I would come to understand the value of wisdom, as well. One of my first yoga instructors seemed to have it all. He had studied with his teacher for decades, also happened to be a stellar astrologer (pun intended), and was compassionate, intuitive, and guided me through the depth and breadth of yoga in a way that was accessible. I aspired to possess those qualities. He gave me advice I still repeat to my students and clients today and was one of the first people to encourage my astrology studies (along with my *gasp* physics professor). Most of all, he instilled the value of deepening my knowledge and understanding of yoga. This was a person who’d spent a lifetime studying and didn’t stopped. I admired that and committed myself to it long ago. For any of us to become the most stellar yoga instructor possible, we actually must learn more than just how to lead people through a sun salutation. Anyone who’s completed a basic 200-hour teacher training knows, that you’re only scratching the surface. 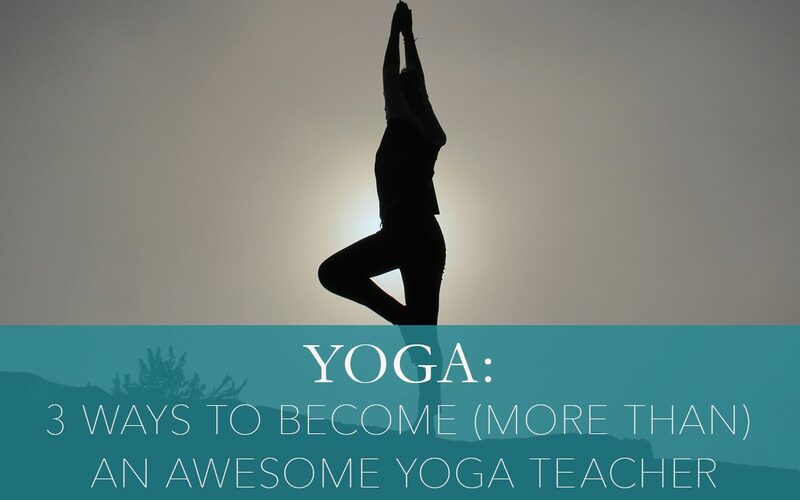 In order to become the best teacher possible…we must become more than just a yoga instructor. We must embody spiritual leadership, fully grasp anatomy and movement, and be able to tie in the philosophy of yoga into the experience of the practice. Not to mention, have the aptitude to intelligently sequence, build a relevant playlist, and tie in meditation. As more-than-yoga-instructors, we provide a space for community to our students that they may not find anywhere else. We may also take on the all-important role of counselor and support system. Teaching yoga is far bigger than asana. I am incredibly passionate about doing what I can to help raise the standard for yoga instruction, provide higher education training for yogis, and support you with continuing education that helps you to grow, expand, and thrive as a yoga teacher. On a recent Facebook Live broadcast, I shared with you the three essential things you must do to set yourself apart from the crowd and become the best yoga teacher possible…one who embodies the integrity, depth, breadth, and compassion that your favorite teachers also possess! It all starts with great training. Whether you’re just embarking on your yoga teaching journey, or your 200-hour program left you feeling like, “What’s next?”, then I encourage you to register for my free weekly webinar that takes you inside the heart of my comprehensive 500-hour online teacher certification program. Get ready to up-level your yoga education by clicking here.